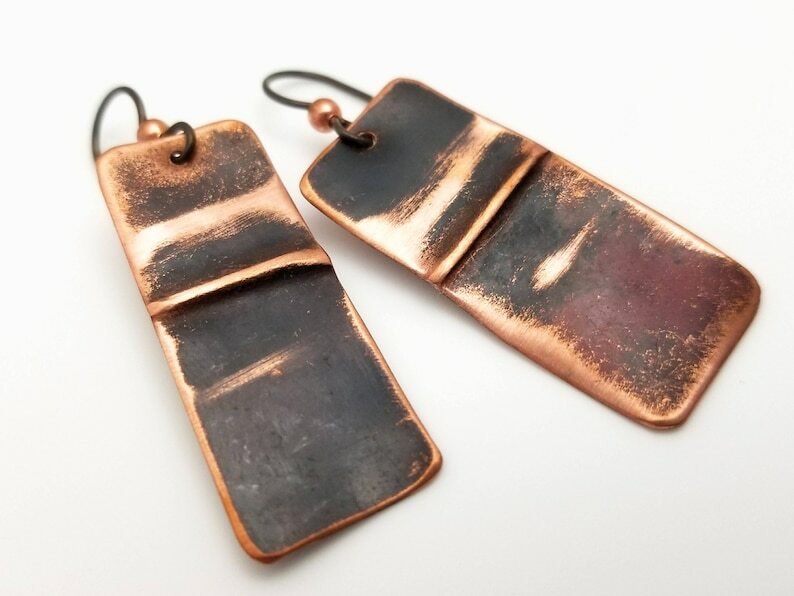 I've created a pair of abstract copper earrings with a line folded into them. They have a heat patina with areas burnished back to the copper highlights. They are sealed with tung oil varnish. 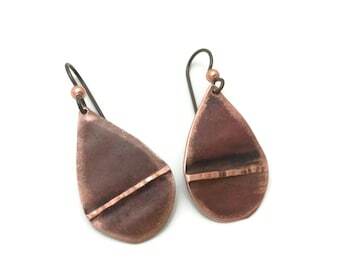 They hang approximately 1-1/2 inches from the bottom of hypoallergenic niobium earwires.